Hello friends! 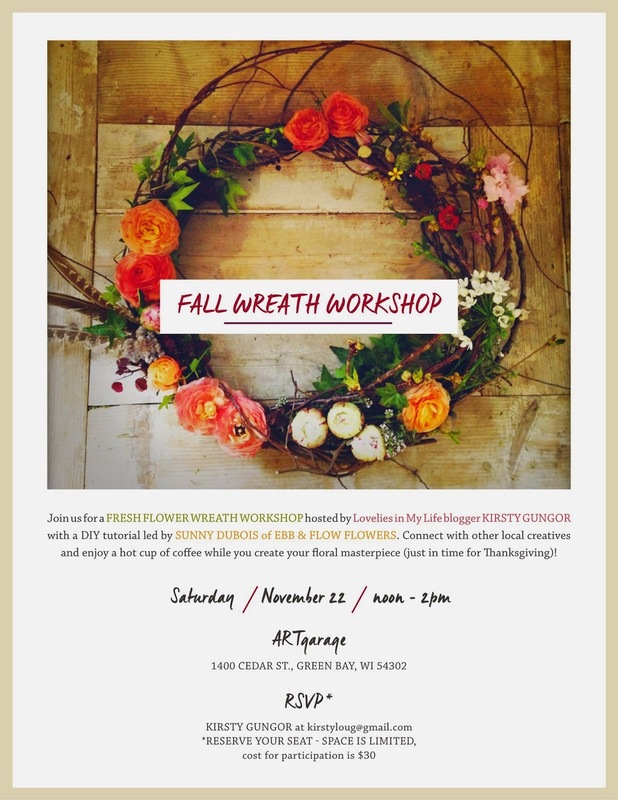 We have had a great sign up so far for our fresh flower wreath workshop on November 22nd. 17 of you lovely ladies have reserved a spot and I can't wait to see you all there. If you're still thinking about it, send me an email to kirstyloug@gmail.com. We do have a limited number of spots available, so get in touch soon. I've all sorts of wonderful things planned for this afternoon. We'll have Hey Sugar! serving up her finest cakes (and I'll be sharing with you all kinds of deliciousness she's created soon, just so you can get to know her :). And we'll warm up with yummy flavored coffees and apple cider. Don't miss out ladies! It's going to be oh so lovely. I look forward to seeing all the beauties you create with those gorgeous flowers.